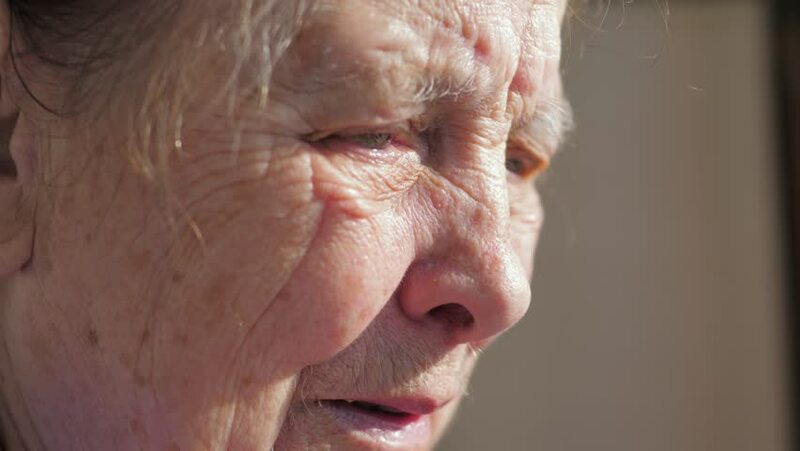 Closeup of elderly woman face with sad look and deep wrinkles. Suffering from Parkinson disease and tremor. Often blinks and eyes tear. Looking out the window on the street, on sunset 4K, 3840x2160. 4k00:10Close-up mouth with the shaking and trembling lips of a talking old woman who is sick of Parkinson and tremor. 4k00:09Closeup of an old woman hands holding each other. Wrinkles and flabby skin.